I have eagerly been anticipating Friday, not because it's been a long week but because of what is going on this weekend! mom and Derek tonight; at a restaurant I have never tried. (Loring Kitchen and Bar, I have been there for a happy hour and it is a neat atmosphere)! But also two of my besties/sorority sisters are flying in to spend a weekend in the city! I am extremely excited to see them, and to show them around my city/home state! We are playing the weekend by ear, but I would like to show them Mall of America, maybe 50th and France or grand avenue all wonderful shopping destinations! We have a lovely sushi dinner (a tradition from college) planned, brunch and a night out on the town! Stay tuned for the recap of our girls weekend! Now before I leave you until Monday, check out these pin recipes that had my taste buds singing this week! Lets start with this Honey Lime Chicken! Which I served up with baby roasted potatoes. Lets just say I didn't stop hearing about how good this chicken was, needless to say I was happy the recipe turned out so well! I used my little George Foreman to grill the chicken, and it worked perfectly! 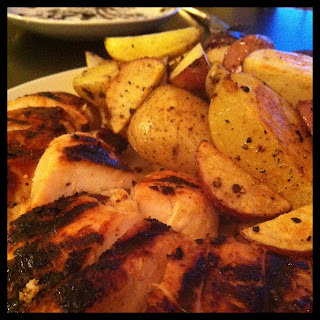 You must make this chicken, super easy just marinade overnight! 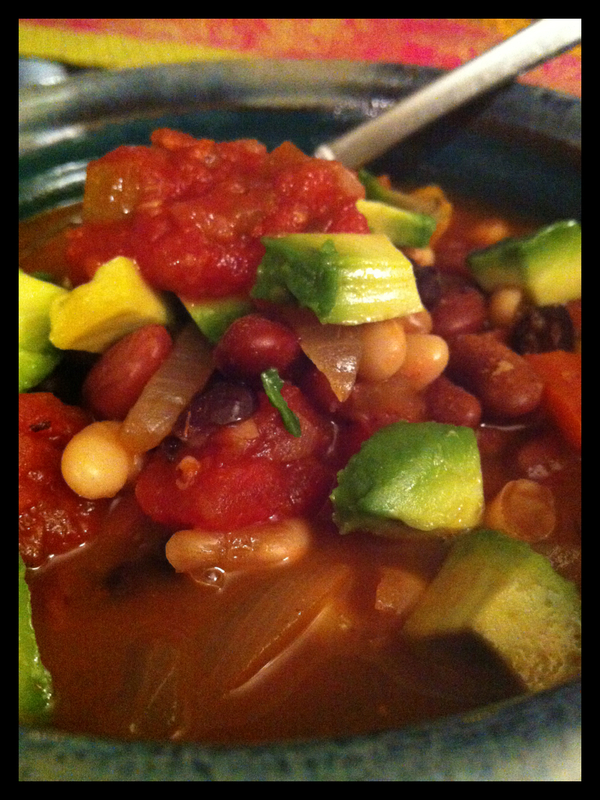 And our last recipe of the week, a delicious bean filled Vegetarian Chili! This chili was perfect, since Minnesota has been having some cool evenings! I was a little skeptical about how this recipe would go over (especially since there was no meat), but to my surprise it was a winner! Now I have lots of leftovers to take for lunches, or freeze! 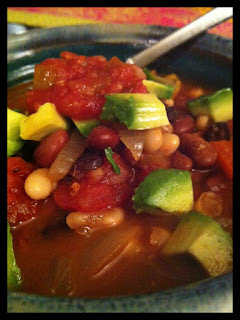 If your looking for a great vegetarian chili make this one! Wish I could be there with you girls this weekend! :) Hope you have fun!